As a subconsultant to HNTB, AEA worked with staff from NJDOT Mobility and Systems Engineering (MSE) to prepare a Traffic Operations Plan for the 8th World Meeting of Families, which took place in Philadelphia from September 22-27, 2015, culminating with Pope Francis celebrating a public Mass on the Ben Franklin Parkway. 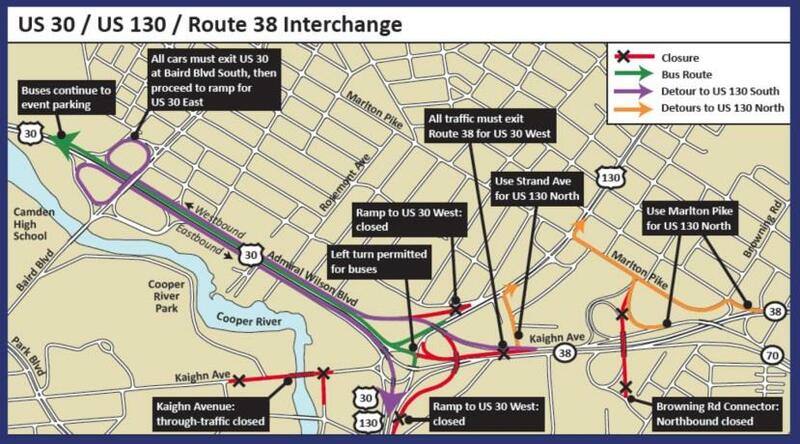 The Traffic Operations Plan involved evaluating over 100 traffic signals on six major corridors in southern New Jersey leading to bridges to Philadelphia. Synchro was used to analyze traffic signal optimization and Central Sync was used for adaptive signal systems. As the Ben Franklin Bridge and Admiral Wilson Boulevard (US 30) was to be closed during the event, AEA determined detour routes, prepared signing packages, and recommended revised traffic signal timings to accommodate thousands of visitors passing through New Jersey to attend the event. Timing directives, model reports, procedural guidelines, equipment maintenance, and other resources were compiled into an operations playbook that could be used as a reference during the event.